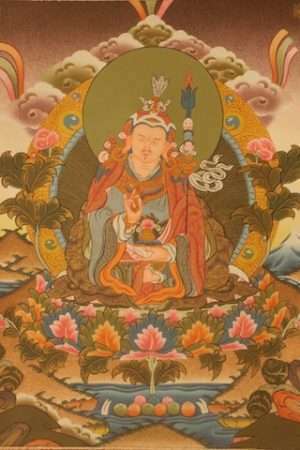 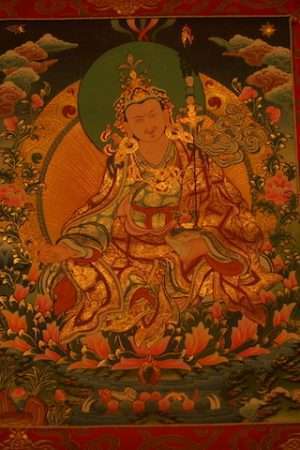 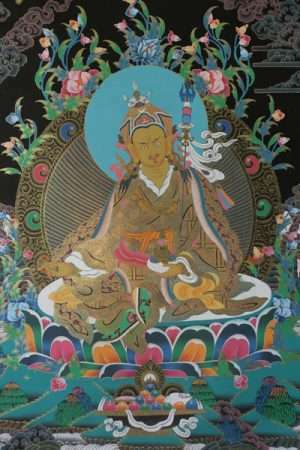 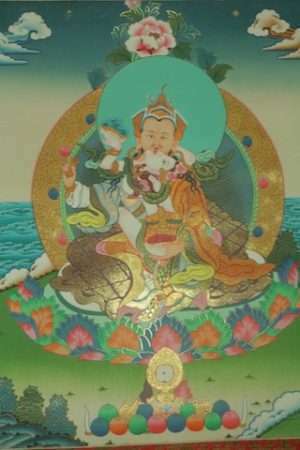 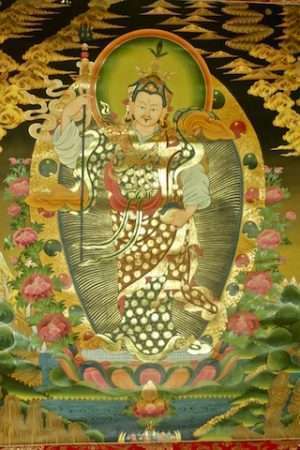 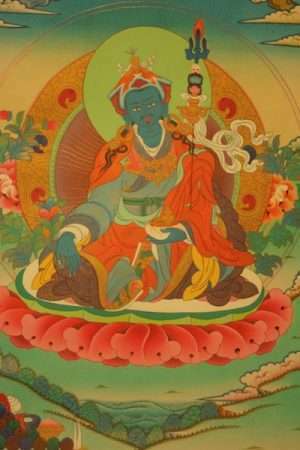 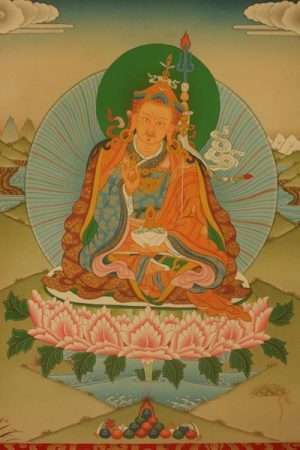 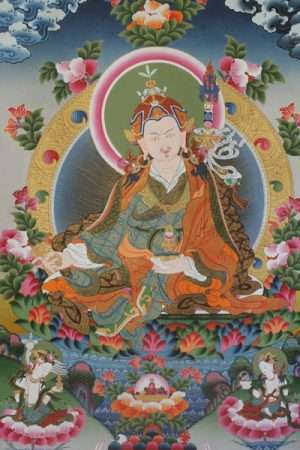 Padmasambhava ( lotus born guru) known as Guru Rinpoche is the archetypal Tantric Guru. 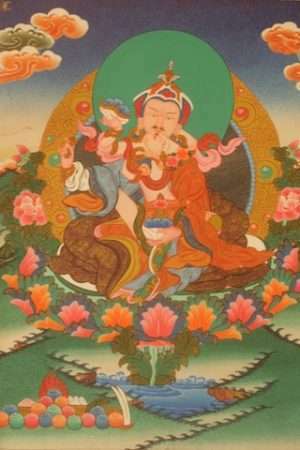 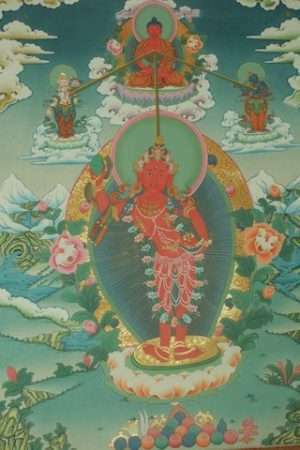 The awakened teacher and guide , The Vajra Guru, who helps, advises, inspires and encourages the practitioner at all times and in all places. 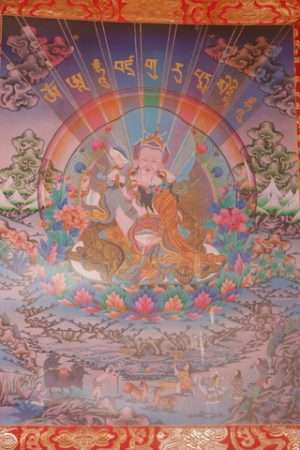 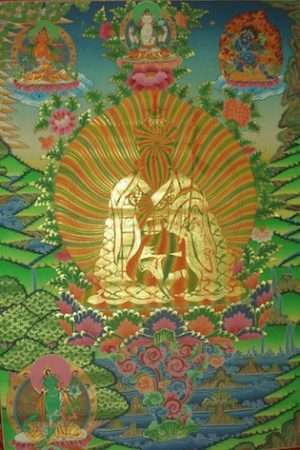 Padmasambhava the lotus born, the archetypal guru, is the enlightened mind at work in the world. 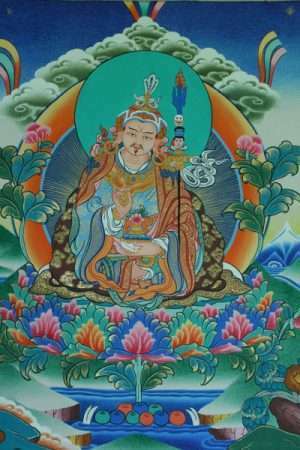 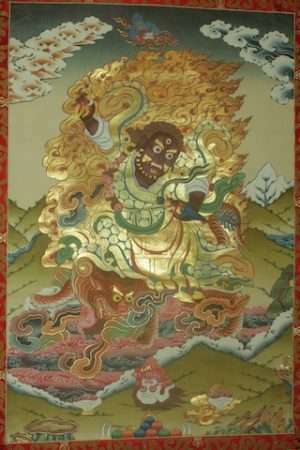 He has many names and forms, and is often known as Guru Rinpoche, the most precious teacher and guide. 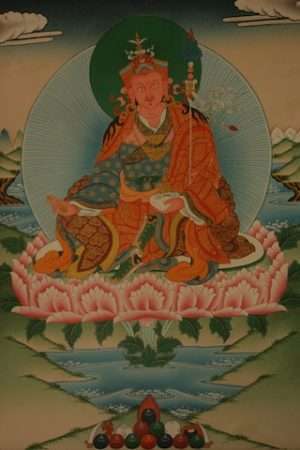 His mantra is om ah hum vajra guru padma siddhi hum. 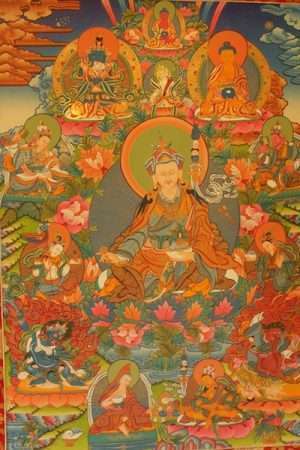 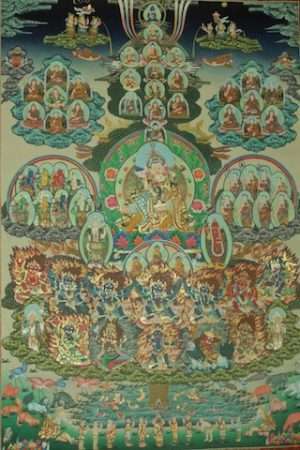 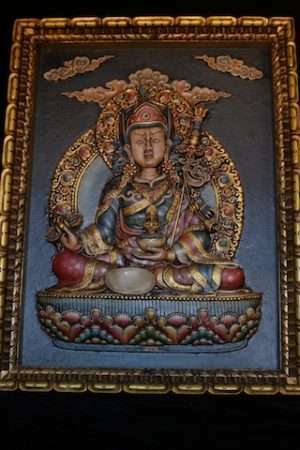 Padmasambhava Thangkas are used in Buddhist meditation and devotional practice to evoke the awakened qualities of the Guru.